Let your creativity loose with delicate hair vines. They can be placed and worked through practically any hair style. 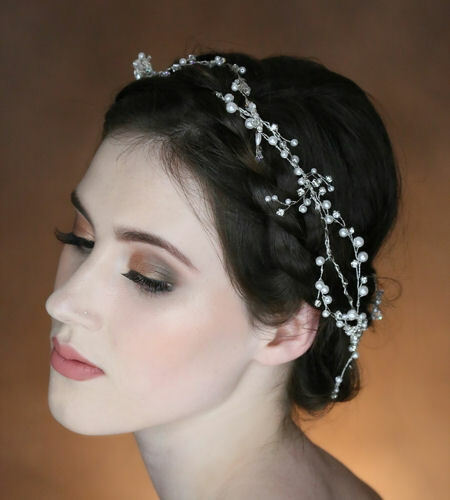 Whether you opt to have them as the finishing touch to your bridal look or have them for bridesmaids, they are a great choice for dressing the hair with classic elegance that never goes out of style. Other lengths and colours available on request. If you have any comments or suggestions on how we can improve our service or website, please fill in our contact form. We greatly value your input.